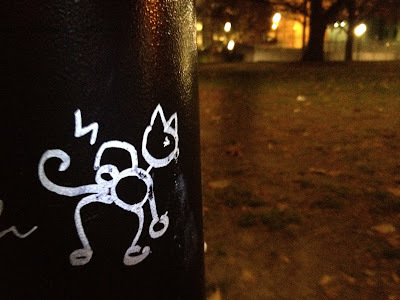 That crazy cat is at it again! 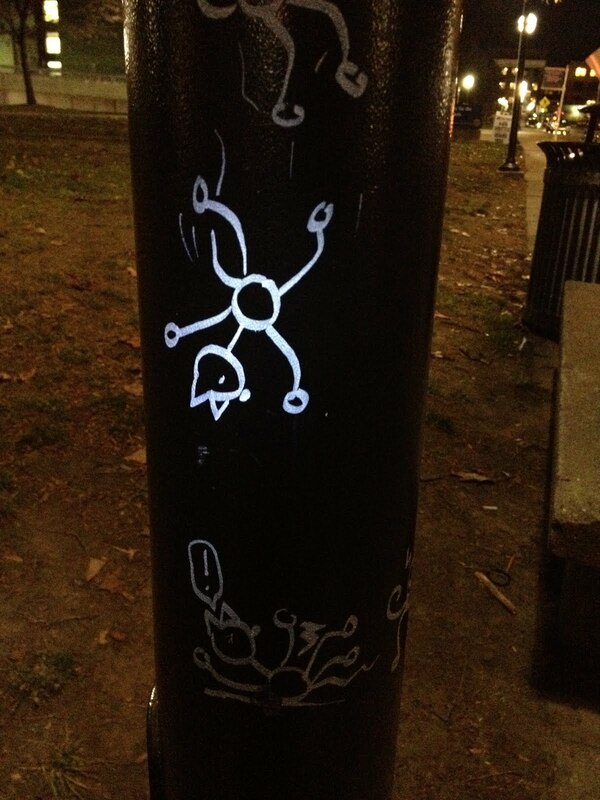 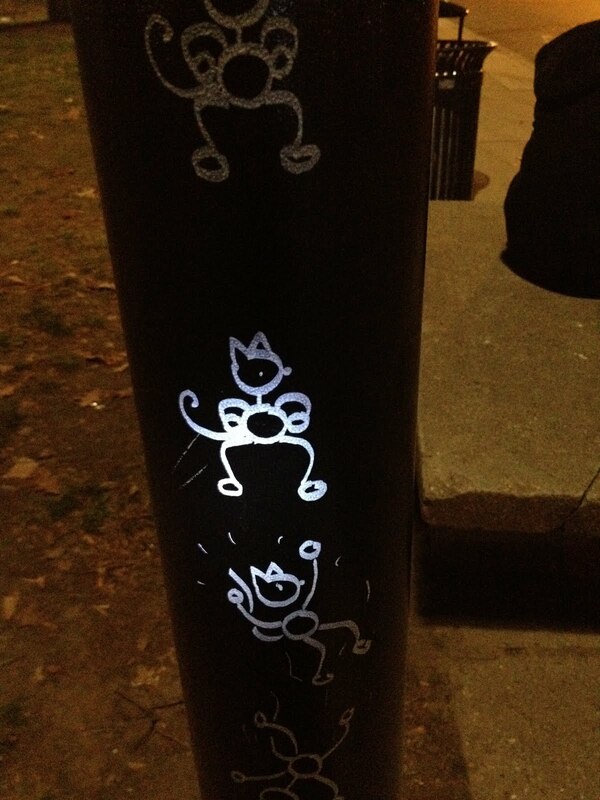 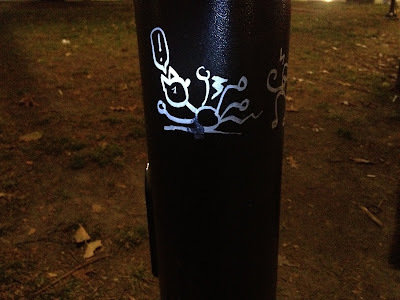 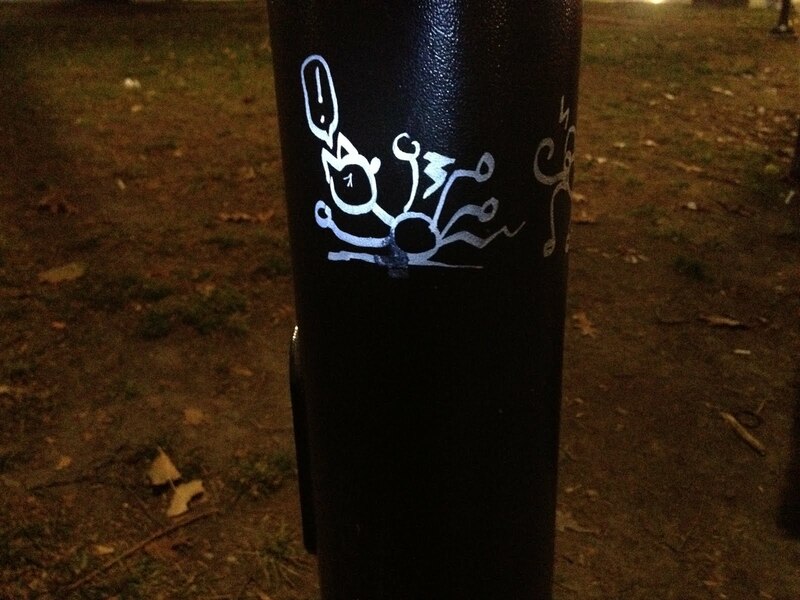 I spotted this little cartoon on a lamp poll next to the bus stop at Fletcher and Washington. Seriously, has anyone see any more of this cat? 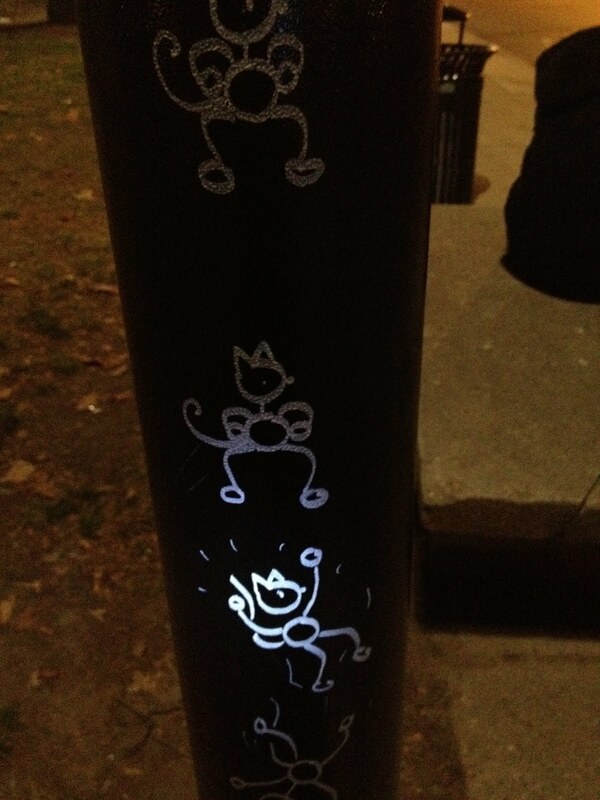 Not that I condone graffiti, but this is tons better than those taggers, Gexir and Kief. 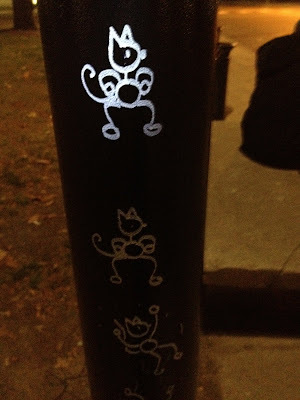 Right up there with Duck and that person that drew abstract feet.